Mr B is at that age where he just loves his pretend play. 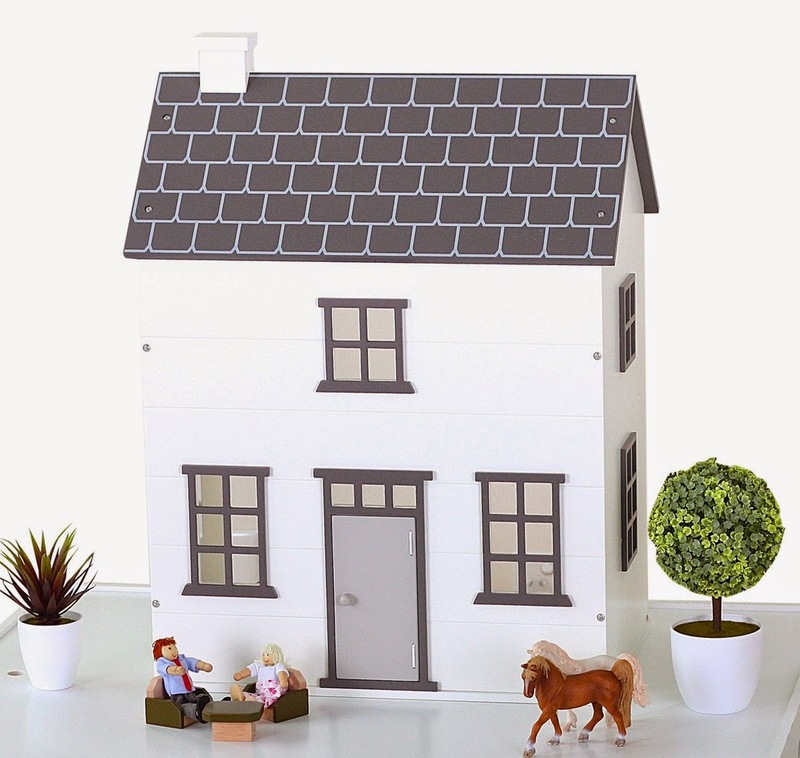 Our Toy Kitchen, Wooden Farm and Market Stall/Food Crates are on high rotation at the moment. Mr B socialises with a lot of 'little ladies' in our circle of friends and always gravitates towards playing with the gorgeous doll houses that they have out to play with. So recently I purchased for him these cheapo doll sets from K-Mart. Yup, yet again another amazing K-Mart buy for only $10.00 a set! If you are interested, there are also a few other styles in the range. We also have a 'Career Set' in our little collection. 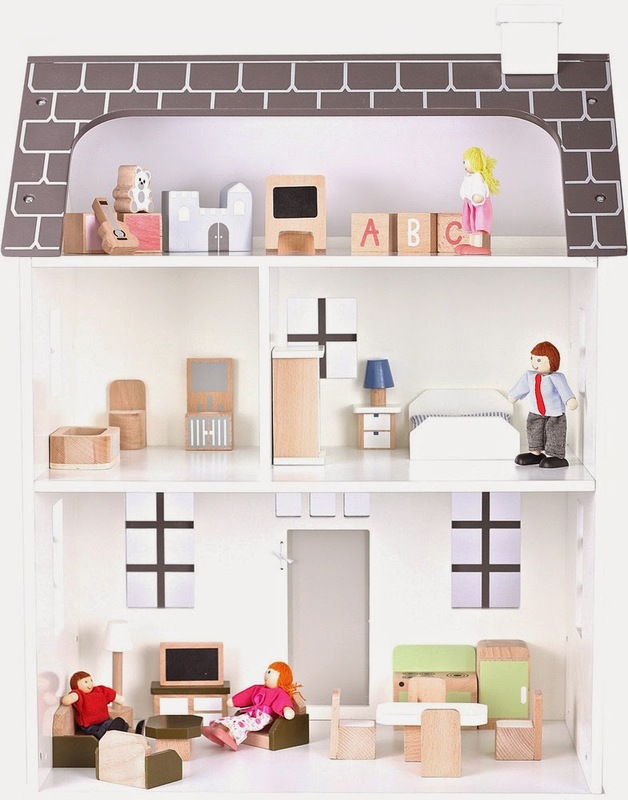 Because he loves playing with these so much, I decided to look for a little play/doll house. Well finding something that was 'gender neutral' proved to be quite the tricky task! I tried my usual haunts (Big W, Target, Kmart etc), with absolutely no luck. Don't get me wrong, there are some stunning ones out there, but I wanted something that wasn't an explosion of pink, that both of my kids could enjoy and that would still look nice when moved to our new open play area (part of the extension) in the near future. I originally found this fabulous idea on the amzing world of Pinterest - how clever is it?! All you need is one Ikea Kallax Unit (which retails for only $48 in Australian stores), Wall Paper samples (gotta love the free Master's ones) and away you go! 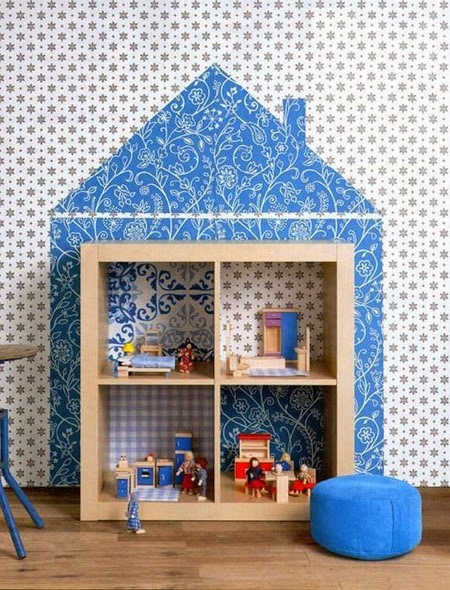 With a bit of wallpaper and imagination, you can style this little unit up to suit the colours of your house/playroom. I also love that once the kids get tired of this, that you have yourself a perfectly good cube unit that you can use around the house. Oh my goodness I was so excited when I saw this online - talk about the perfect fit, price, colour - everything! It was on sale (reduced from $199) to $139, so I knew that it was too good to pass up! 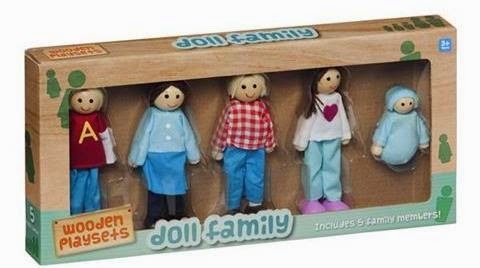 The set comes with all of the dolls and furniture included (these alone are a small fortune to buy). The house is a great size and it is a perfect colour match for our house too with the soft grey and white palette you see! The only negative may be that it won't be big enough for when Miss C gets in to Barbie Dolls. But I can imagine that by this stage Mr B will not want to go near a doll and Miss C will want something pink! As you can see it has been an absolute hit at our place and Miss C is itching to be able to stand up and join in the fun! I tell you, I cannot wait til this extension is done and I can finally have a nice big space for the toys. Right now I feel like everything is just so cluttered in our temporary space. Patience, patience, patience! !